After a four-day golf barrage last weekend up the coast, it was kind of nice to relax this weekend. 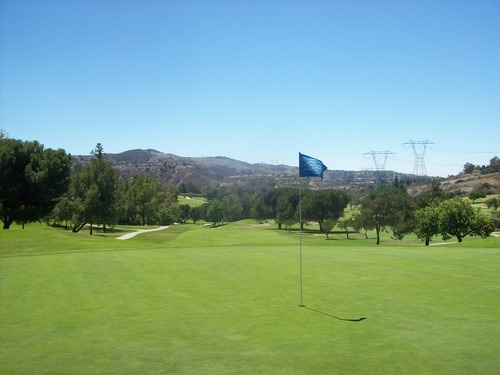 Saturday was a rare one without any golf, but I was back at it again today for a quick, local 18 at Anaheim Hills Golf Course. 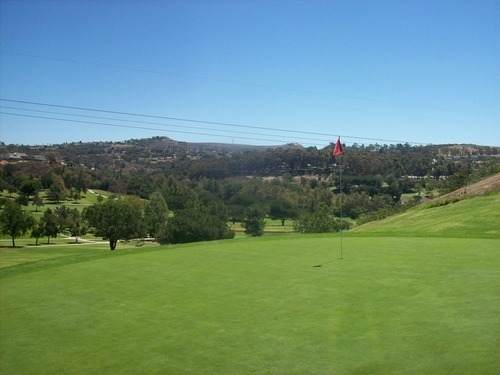 Now that I’ve achieved one of my goals to play all the public, regulation-18 courses in SoCal, it’s giving me the opportunity to revisit some local favorites, especially those I’ve never reviewed on this site. Anaheim Hills fits in both categories. 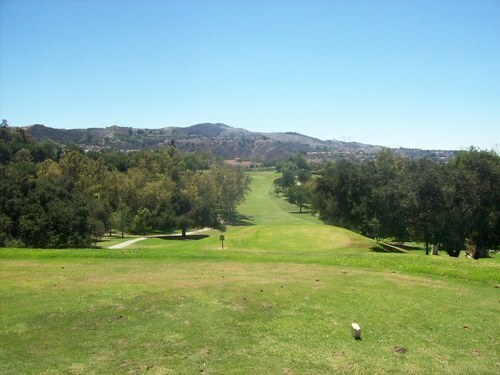 I’ve played here a handful of times in the past and it’s always been a course I liked a lot. 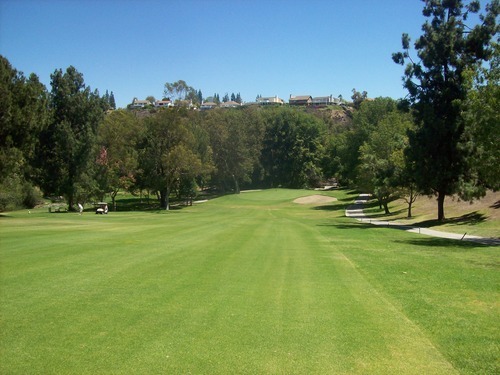 I tend to like hilly courses and I tend to thrive on shorter, more “target” oriented designs like Anaheim Hills. 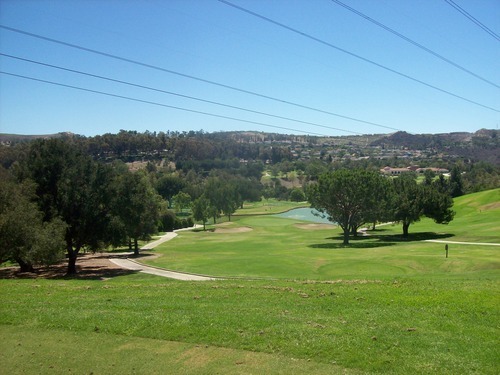 Though it’s a city owned and operated course, it’s definitely a clear notch above most “muni” tracks around this area. Their prices are typically just on the outer edge of what I really want to pay, which is why I haven’t played here more often over the years. A friend and I came across a good deal for an 11:12 tee time through TeeOff.com (formerly EZlinks) and we also had a promo code, so it only ended up being around $31. That’s a very good deal for a weekend here with a cart. 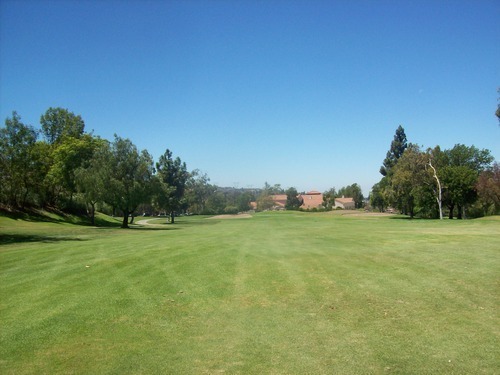 The course wasn’t too busy by the time we teed off, so it was a great pace. We played right behind another couple, but never had to wait too much on them and finished in under 3.5 hours. I never would have expected that on a Sunday, even though it was quite warm out there today! 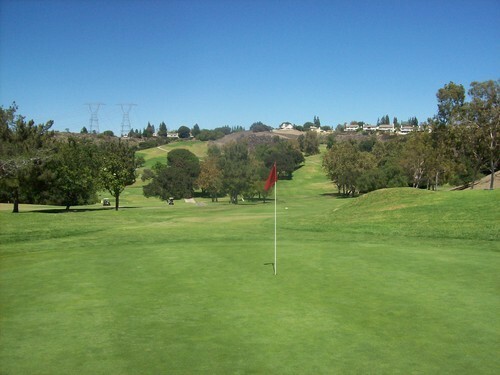 At 6,266 yards from the back blue tees, Anaheim Hills is certainly not long by today’s standards, but don’t let that total yardage sucker you in to any false confidence. This is a tricky course that is even more difficult the less you know it. It’s been years since I played here, so a lot of the trickiest holes were like playing for the first time. I was happy to see a nice GPS system on the carts, which definitely helps. 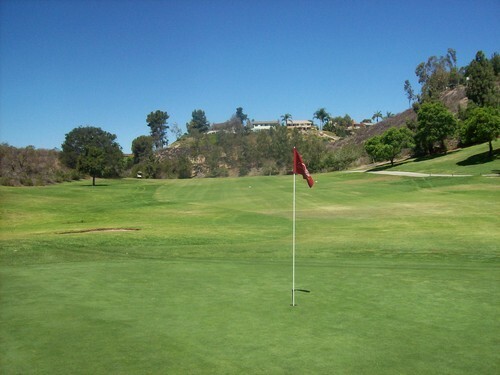 Still, when you are hitting blind shots off the tee or over a hill to a hidden green, it’s hard to ever feel too confident without a lot of previous course experience. There are definitely some holes that people I know would deem a bit too “funky” like the 4th and the 12th. 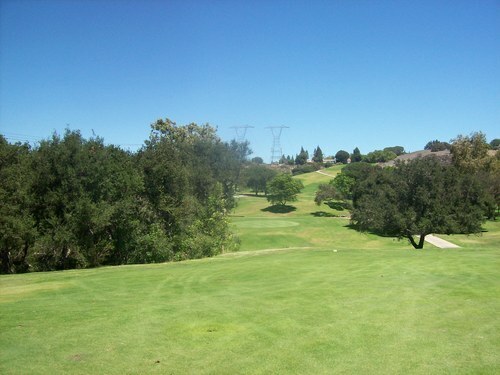 The 4th is a very short par-4, but with a severe dogleg left and uphill approach. You have to hit the perfect lay-up out to the corner for a clear shot in. 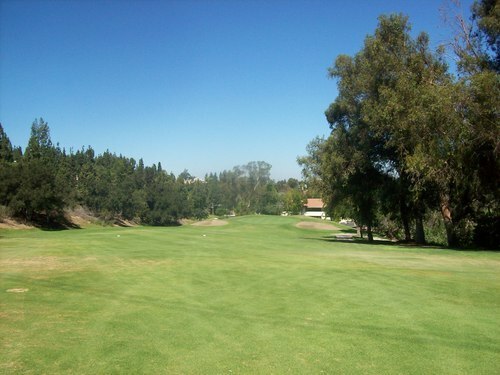 The 12th is its bigger brother as a par-5 with a similar sharp dogleg and severe uphill approach to a two-tiered green. 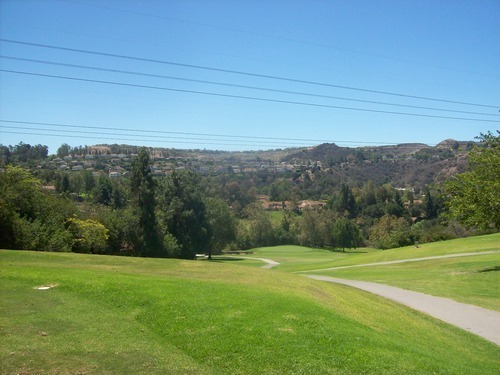 Anaheim Hills is very hilly and there aren’t very many flat lies on the entire course. Most of the greens are pretty simple once you get on the surface, but getting there isn’t always as easy as it looks. 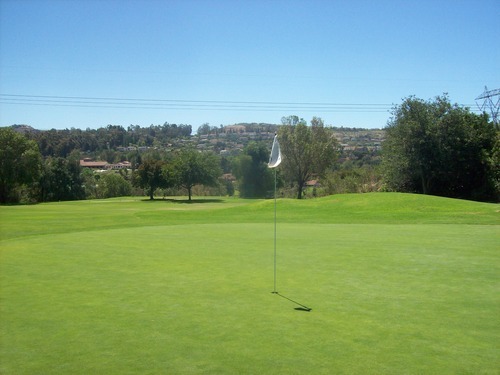 It is the type of course where you can score well if you hit your shots and play the proper strategy on certain holes, but it can come back and bite you real quick if you are off your game just a bit. There’s no shortage of bad places to get into. 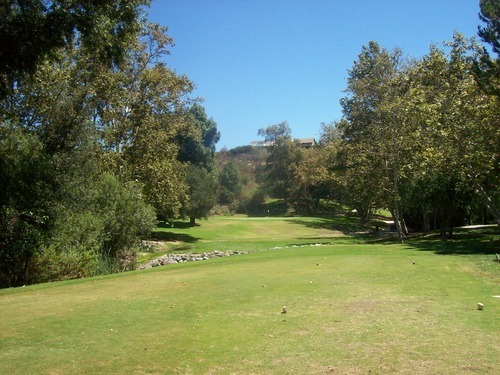 The par-3s at Anaheim Hills are all pretty fun, with three of them playing severely downhill. The 5th is a beast at 254 yards from the blues. The downhill definitely helps, but depending on the wind it can still be a huge poke to get down there. The 7th is the only real flat hole out here over a small creek. 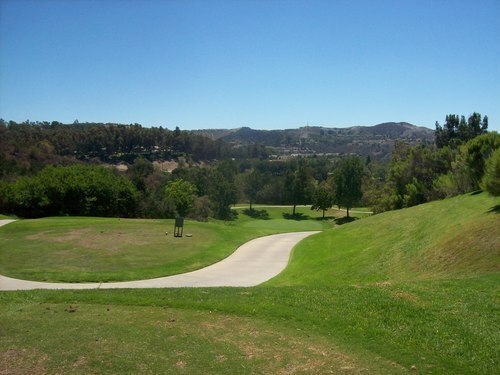 The 13th is another long one that plays straight downhill. The wind was blowing straight into us by the time we played it, so that negated any of the change in elevation. Lastly the 16th is a good one that’s also downhill and into the wind, but shorter. 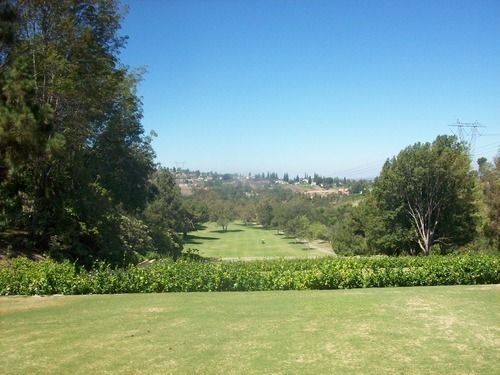 The course was in very good overall shape for late summer, with most things being pretty lush and green. The tee boxes were probably the worst part of the course. Some of them were quite chewed up. Otherwise, the fairways and rough were very good. There were some minor thin spots here and some shaggy spots there with the kikuyu this time of year, but mostly everything was great. 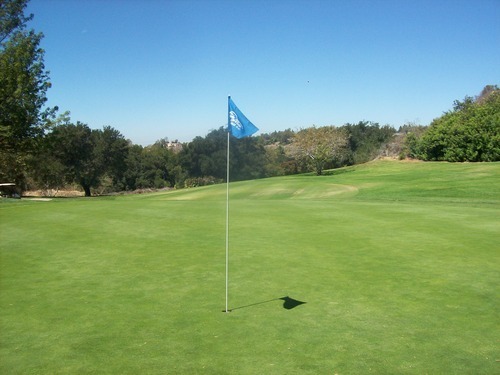 The greens were very soft and receptive, so you could be aggressive on approaches and chips—rolling at medium speeds. I’d probably prefer them a little quicker, but that’s a minor quibble. I was in one bunker and it was excellent. Not too soft, not too firm, but just right! 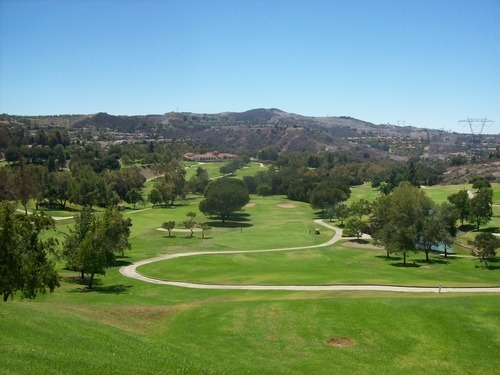 I’d definitely recommend Anaheim Hills, especially if you can get a good rate. 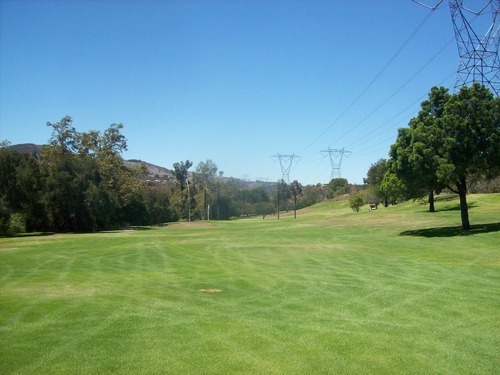 Amidst the bevy of Orange County courses that are either way overpriced or way overcrowded on weekends, it’s a very good option. 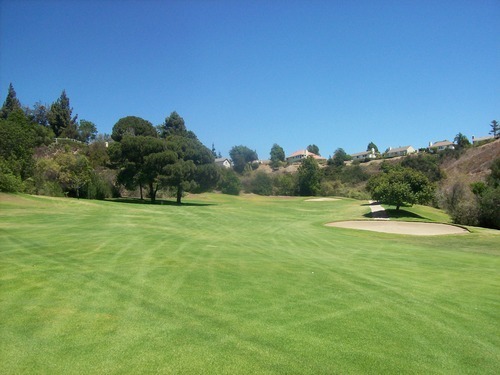 Be prepared for a handful of unusual holes, but pay attention to that GPS and play it smart to fully enjoy it.